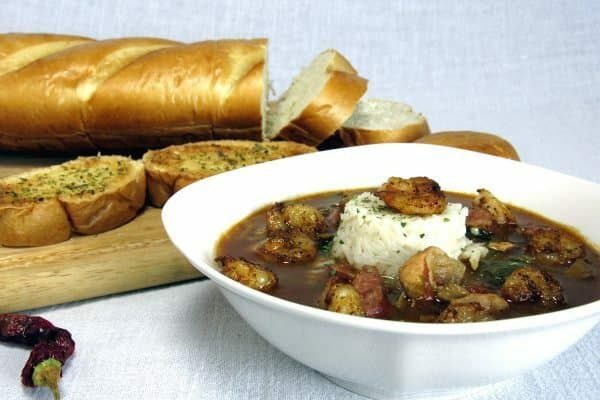 This is a great Chicken and Sausage Gumbo recipe with just the right amount of heat for the timid. Don’t worry though, you can kick the heat up to whatever level pleases you. 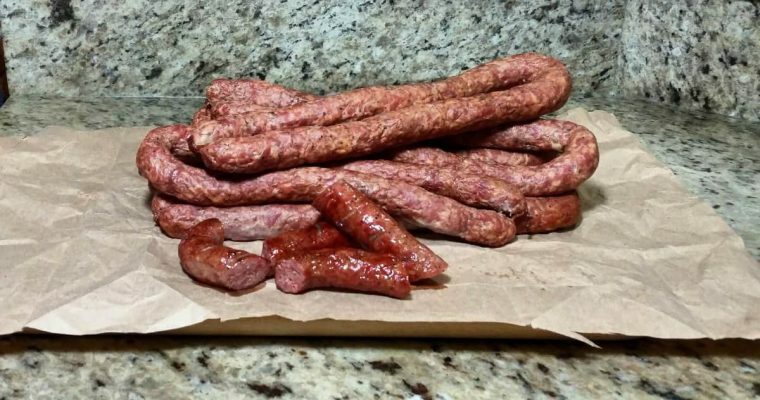 You can customize this recipe to your taste so don’t be afraid to experiment. I garnished this with Blackened Shrimp because I like them that way. 12 oz of raw small or medium peeled and deveined shrimp can be added near the end of the cook cycle so they don’t overcook. Oysters and/or crab will work as well. 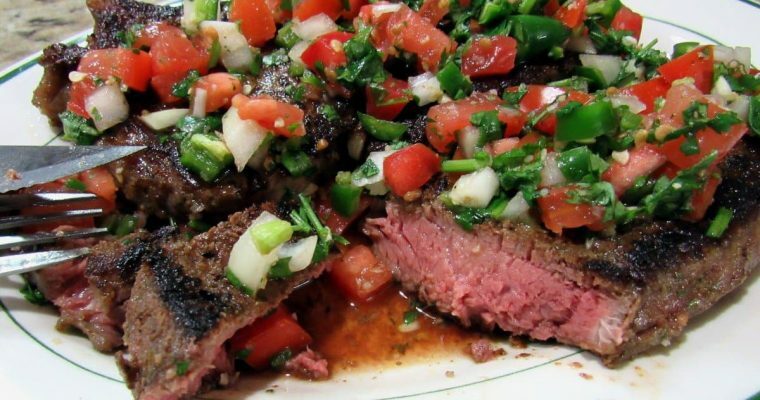 The okra is optional in this recipe because I don’t like it but feel free. File is usually used as a thickener for gumbo but not in this recipe. I use it for flavor and the chocolate roux is the thickener. I use water in this recipe but feel free to try chicken or shrimp stock but watch out for salt so you don’t ruin it. 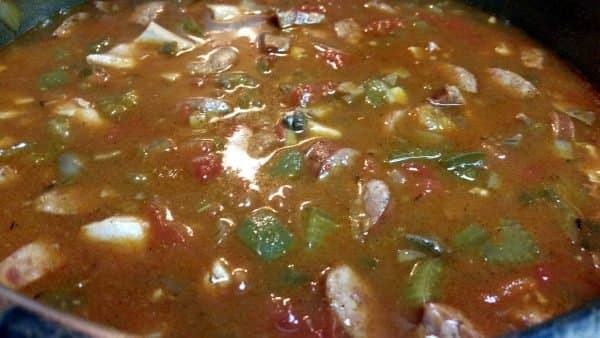 A great Chicken and Sausage Gumbo recipe with just the right amount of heat for the timid but you can kick the heat up to whatever level pleases you. 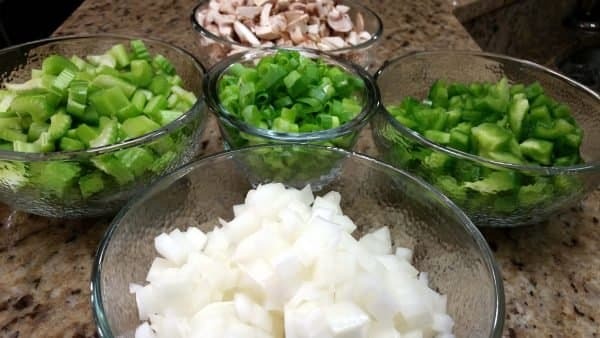 Chop up vegetables and set aside. 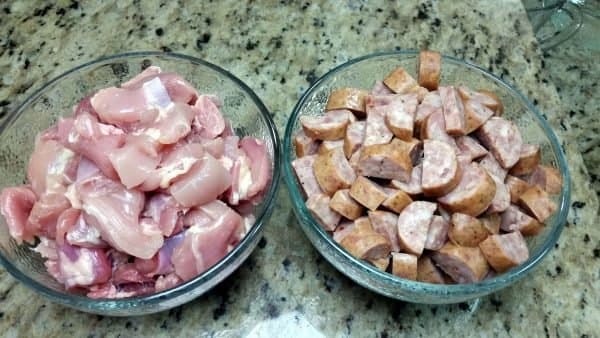 Combine vegetables, sausage, water, and spices in a pot and bring to a boil. Simmer 30 minutes and then add chicken and simmer another 20 minutes. 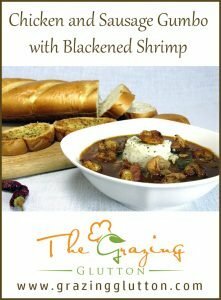 At this point, you can start making your Blackened Shrimp for garnishing. 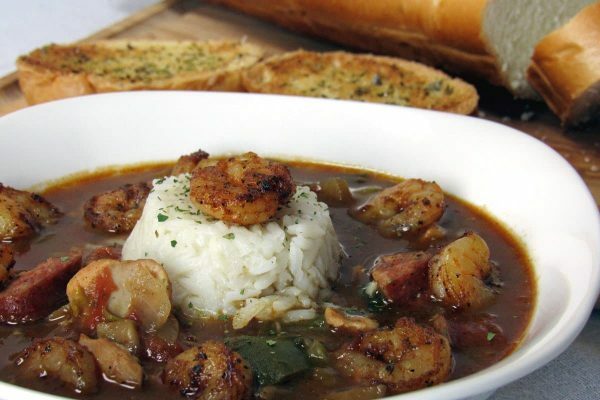 If adding raw shrimp, oyster or crab, go ahead and add them at the end of the 20 minutes and simmer another 10 minutes. At the end of an hour of simmering add the chocolate roux and simmer another 10 minutes stirring often. 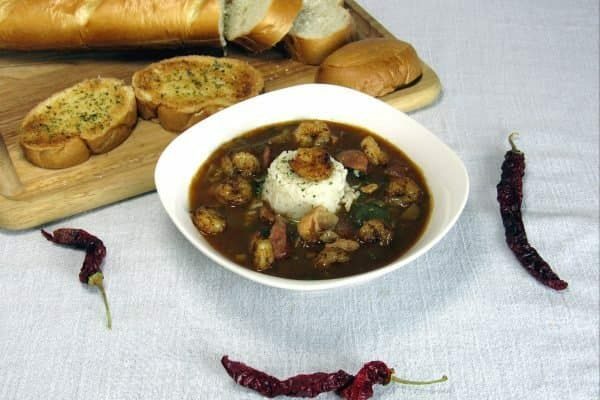 Serve with rice, blackened shrimp, and some garlic bread.